The year-end numbers are in! Our data comes from the Multiple Listing Service and does not reflect private sales. However; in this market, the vast majority of sales are MLS sales. 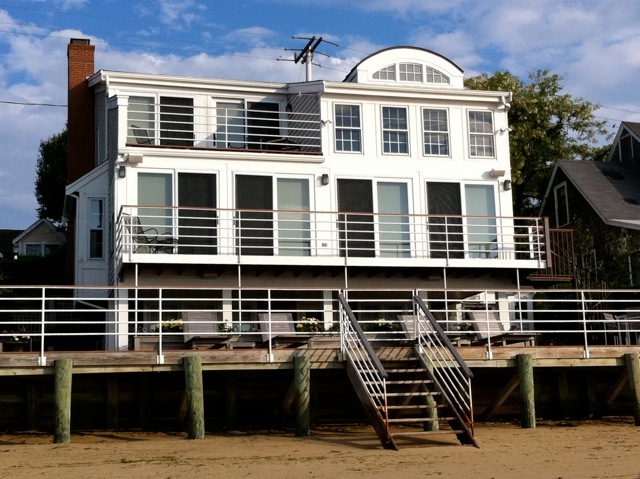 There were 169 properties sold in Provincetown in 2011 with a total sales volume of $84,080,775. *Sales figures exclude timeshare properties. Table 1: Number of Properties sold with Average Sale prices. 2011's market summary shows a stable, relatively flat market. Sales volume was down slightly over last year, but the good news, is that the average days on the market was less in almost every category. This tells us that asking prices are more in line with market value and the buyers are responding positively. The percentage of sale to list price also edged up a bit in 2011 further reflecting a slightly improving market. From our perspective, we saw some old inventory get absorbed, after years on the market. We also saw the return of many buyers to the market after years of waiting on the sidelines. The selling season was steady throughout last year, save for a 2 month lull after the volatile stock market activity in August. The year also distinguished itself by showing an increase in the number of cash sales over previous years. The lowest priced residential condominium to sell last year was a year-round studio near Beach Point at 962 Commercial Street, Unit #6. The unit has 195 SF and sold for $91,500. The highest priced residential condominium was a free-standing, three bedroom, waterfront townhouse at 523 Commercial Street, Unit #1. The unit has 2,237 SF , was in need of updating, and sold for $926,500. The lowest priced single family residence to sell last year was a three bedroom house at 3 Webster Place that needed a complete rehab and did not have parking. It has 1,322 SF and sold for $278,000. The highest priced sale of a residence was at 5 Harbour Drive, in Provincetown's East End at the luxury subdivision of Bay Harbour. This is a spectacular and brand new three bedroom, five bath, bay-front home. The 2850 SF home sits on almost an acre of land, includes an in ground swimming pool and it sold for $2,950,000. Atlantic Bay Sotheby's International Realty proudly represented the buyers. The year-end numbers are in! We will review the final sales figures for Provincetown from MLS along with a comparative analysis of this year in relation to the prior two years. Our data comes from the Multiple Listing Service and does not include private sales. The vast majority of sales that occur in this market are MLS sales. There were 144 properties sold in Provincetown in 2009 with a total sales volume of $67,930,378. There were 165 properties sold in Provincetown in 2007 with a total sales volume of $85,902,800. * Sales figures exclude timeshare properties. Table 1: Number of Properties sold with Median Sale prices. The median reflects the sales price that is exactly in the middle of all the figures for that category. For example, if 26 properties sold, 13 were priced above the median, and 13 were priced below the median. During the first part of 2009, sales activity was extremely slow. Following the collapse of Lehman Brothers and all the government bailout activity last fall, the real estate market in Provincetown was at a virtual standstill for early months of the year. Sometime in June, however, the market came alive again, and sales activity ramped up and continued steadily until the end of the year. 83% of this year's sales occurred after June 1. The lowest priced residential property to sell this year was a studio condominium 54 Bradford Street #2-3 at the Shank Painter Sails Condominiums in the center of town. The unit has 280 SF and sold for $137,000. The highest priced property to sell was a single family home at 9 Oppen Lane. The property sits high atop a hill in the West End and offers nice privacy and some of Provincetown's most extraordinary views. The house was gutted following a fire, and was purchased in an unfinished state. It has 4BR and 3BA with 3666SF. It sold for $1,600,000. Atlantic Bay Sotheby's proudly represented both the buyers and the sellers in this chart topping transaction. The summer real estate market picked up markedly beginning in June and July, resulting in many third quarter sales. Many buyers, who had been waiting out the market for the past few years, came off the sidelines this summer and decided to buy. Low interest rates and the first time homebuyer credit have also helped to spur activity. The general feeling is that the market has leveled off and is not expected to drop significantly further. Despite the increased summer activity, the number of sales in Provincetown and Truro are still down about 50% off of last year's figures while Wellfleet held fairly even with last year's sales (which had already suffered a large decrease over the previous year). The following charts compare year-to-date sales figures with the same period last year and report on the average Days on Market of the property that sold. The most active segment of the condominium market has been in the $300K - $600K range, which is accounts for 36 of the 55 sales and comprises 16 of the 30 pending sales. In the single family market, most of the activity is in the $750K and under market, with 9 sales thus far in this category and 6 more pending. Most of the activity in Truro is in lower priced single family homes. 8 of the 15 sales were under 600K. 3 Sales were between 600K-800K and 4 were over 1M. There have been no sales this year between 800K - 1M. In Wellfleet, interest in single family homes comprises most of the activity in this market. The heaviest concentration of sales has been between 300K-600K, with all of the sales being under 900K. Provincetown, Truro and Wellfeet Real Estate services. The most experienced broker for Outer Cape Cod. Welcome to the end of the Cape! An astounding combination of natural beauty and New England charm awaits you on the far reaches of Cape Cod. The engaging towns of Provincetown, Truro, Wellfleet and Eastham offer pristine beaches, quaint villages, and beautiful dunescapes. You'll find the ideal setting for the home you've always dreamed of. As your guides to living on the Outer Cape, the professionals of Atlantic Bay Sotheby's International Realty are ready to help you make the right connections, choose the best path and make your experience of buying, selling or renting property on the Cape easy and enjoyable. Whether you are planning an all-too-brief visit, or have decided to make your home here, we offer you unmatched resources, contacts and experience. We hope to have the pleasure of working with you. Please register to save your favorites and receive automatic email updates when new listings meet your search criteria. When you're ready to look at property, we welcome your call at 508-487-2430.